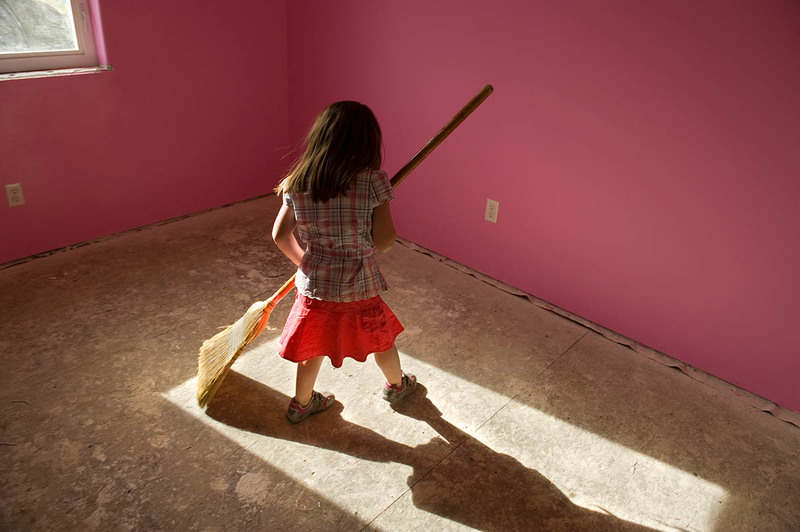 Five year-old Acacia Johnson carefully sweeps the floor of her soon-to-be bedroom, in her family’s new Habitat house. Acacia lived with her mother Maryann and three year-old sister Amaya in a small home in Fairbanks, until they moved into this new three-bedroom Habitat home in July 2008. It keeps them warm during the long Alaskan winters. The girls have already found a way to combat the darkness of winter in the 49th state, by painting their bedrooms pink and purple.